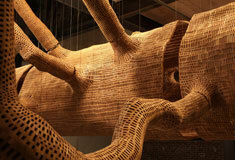 This tree sculpture was cast from the trunk of a 140-year-old hemlock. 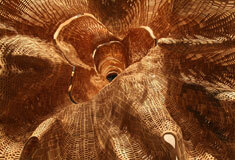 The piece, called Middle Fork, is the latest work from John Grade. 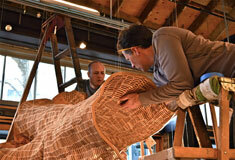 John and his team began the process a year ago. 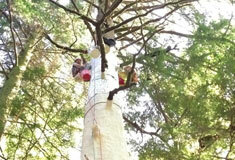 They scaled a Western hemlock tree in North Bend, Washington with the help of a team of arborists. 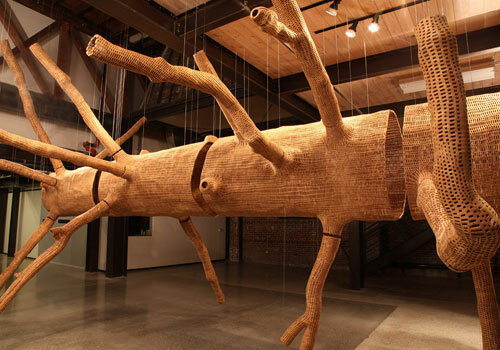 At nearly 90 feet in the air, the team created sectional plaster moulds of the tree, which were then lowered and transported back to the gallery space, over a period of two weeks. Then, over the next 12 months, hundreds of volunteers helped to make the hollow sculpture, using hundreds of thousands of small wood blocks.